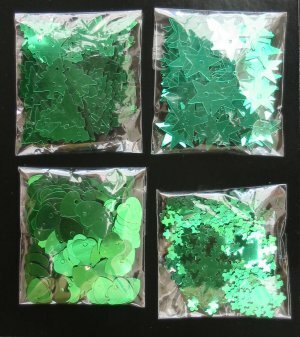 Selection pack of green confetti. A collection of Christmas trees, stars, hearts and snow flakes. Perfect for card making, decorating Christmas pictures or popping inside Christmas cards. Confetti measures approximately 1-2 cm.